Here are two recent science fiction releases, Both, I believe from independent authors. 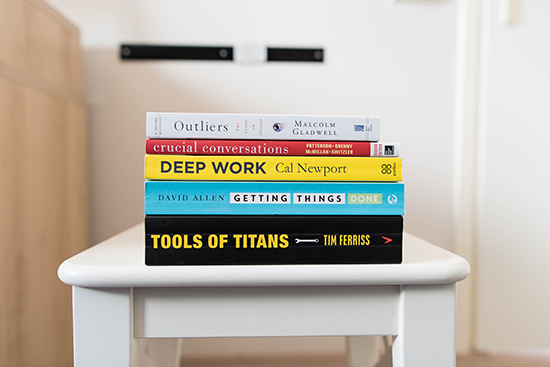 I enjoyed reading them and am highlighting them here for your consideration. 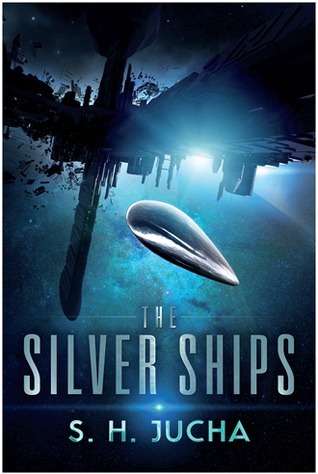 The Silver Ships is an enjoyable read. The story arc is simple but the way Jucha wrote it kept me interested in what was to come. The basic story is this. Earth is dying and sends out several colony ships, each to a different area of space and each equipped with what is needed to start a new advanced, independent civilization. Hundreds of years pass, each colony grows and progresses with no contact between themselves. Then one day 'first contact' happens. A human ship is attacked by an unknown hostile alien and it barely survives, it’s severely damaged, and unpiloted, streaks through space with the survivors in suspended animation. During the course of its flight it strays through the edge of the second colonies borders and is rescued. The rest of the story details how the two human civilizations try to work together to return the survivors home and build weapons to combat the aliens. I would consider it a 'light' sci-fi story, especially if you compared it to Peter F. Hamilton's politics and or to the factions that populate Alastair Reynolds universes. Melodramatic, Idealistic Sci-Fi maybe the best way of describing this book. One reviewer on Amazon said that the author S.H. Jucha would be at home writing Mills & Boon romances, which gave me a chuckle, but I have to concede that it is true. Everyone falls in love with our main character, Alex Racine, including the Ship's Computer. They are awed by his amazing strength, selfless compassion and heroic leadership. And this is where it seems to start to fall apart for me. The male characters are strong, muscular and smart, and the females are all perfectly formed physically and mentally. The women are able to calculate simultaneous equations in their minds but swoon in any male presence, especially when Alex is around. Another thing that 'broke the spell' for me was that everyone was so 'nice' and accommodating with each other, it seemed to be an idealised galaxy where humans had all learnt from the mistakes of the past. Far more enlightened, than anyone in the the Star Trek universe. They even had to look up weapons, in the historical archive because neither civilization had any use for them until the current alien threat. Alex Racine, the main character, also changes significantly during the book, he goes from a being lonely socially awkward space tug pilot who has imposed upon himself the life of a hermit, to a battleship admiral who knows he needs to become gregarious and outgoing in his new position. This doesn’t ‘gel’ with the character we originally meet, and the quickness of the transformation is what irked me the most. Although after some thought I could see that it could happen, and it does with all of us, our own personality and character does tend to gradually change over the course of our lives. But this change happen rather too quickly in our protagonist, for my liking.. If you can put those issues aside and suspend your disbelief, you have a good old fashion first contact Sci-Fi adventure. I gave it 3 and a half stars out of five. Another enjoyable read, but better. It was gritter and more believable than The Silver Ships. I became attached to the main characters, even if I didn't like them at first, and really enjoyed the world building. 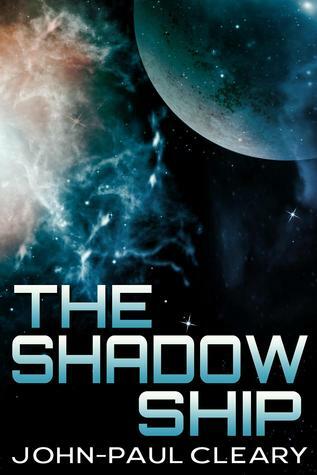 The premise of this novel is not new, and I recently read The Shadow Ship by John-Paul Cleary, which had the same plot device. An ancient foreboding ship that mysteriously turns up and wreaks havoc. 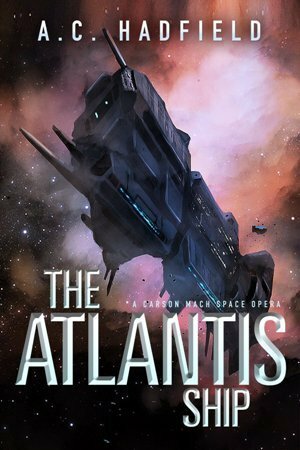 Our hero, Carson Mach, a disgraced naval officer turned freelancer is a coerced into chasing after and disabling the Atlantis ship. Due to budgetary measures and political inefficiencies, he only assests are 2 young naval officers, fresh out of the academy, and a small, slow ship in which chase down this hulking death machine. The rest is up to our heroes brilliant mind, devious cunningness, and leadership skills to figure out the best way to find, chase down and disable this ship. Oh and time's running out because humanity will be wiped out soon if he doesn't stop this ship. An entirely laughable, well used plot, yet the author, A.C. Hadfield, pulls it off nicely. So, while the story line isn't too complex it still delivered good characters, a great backdrop, and I was disappointed when the story came to an end, and isn't that an indicator of a good book? I think so.